We are back after the Holiday break! It is that time of year again, specky week! This week we will work on how to fly (and land). In Australian football, if you catch the ball from a kick it is called a "mark" and you get a free kick. 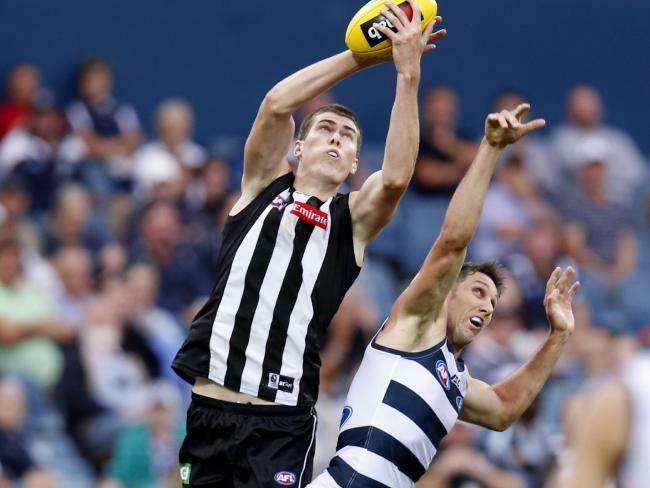 However, if you take a great catch from a kick it is called a "specky" and you get acclaim from your teammates and supporters, as well as a free kick. No Saturday Morning Footy this weekend as we celebrate America's birthday! We are back July 9 for SPECKY WEEK! It is time for footy! The 2016 Summer Session begins June 11 at Bluemont Park. Come out and help us celebrate TEN YEARS of youth footy in Arlington. The sessions are FREE! Players should bring water and cleats are recommended. Boys and girls aged 5 to 9 participate in a program based on the AFL's Auskick program. They participate in fun and safe activities in order to help them learn the rules and skills of Australian football. The session ends with a non-contact game. Followed by snacks! 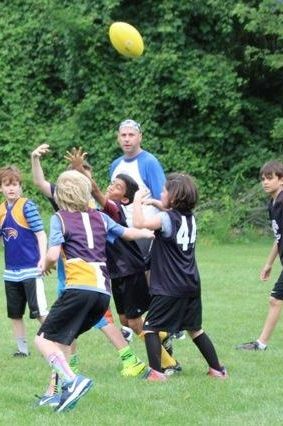 Players aged 9 to 15 participate in the house league. Players work through drills with coaches before playing a non-contact game. Sessions run from 9am (SHARP) to 10.30am from June 11 through July 23 (with a break for the 4th of July). 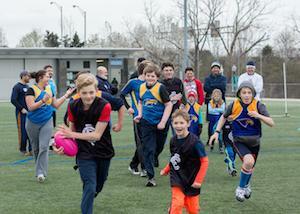 A few weeks ago we had an excellent turn out for the annual Saturday Morning Footy Spring Open Day. Big thanks to our head coaches, Alex Gershman and Danny Seow for their help. It was great to see some new faces, as well as Eagles Alums bringing out the next generation. Check out the great photos from Tasha Adnams on our Facebook Page. It is time to start thinking about Summer. The summer sessions begin June 11. To register for the 2016 go the Registration Page. 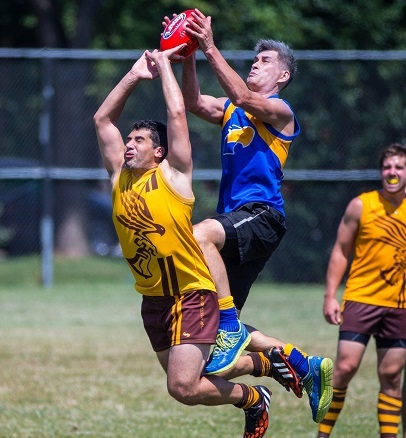 If you would like to suppor the program financially, become a member of the Washington Junior Australian Football Club by clicking here.